3183 - Photo: Nigel Petre Collection. 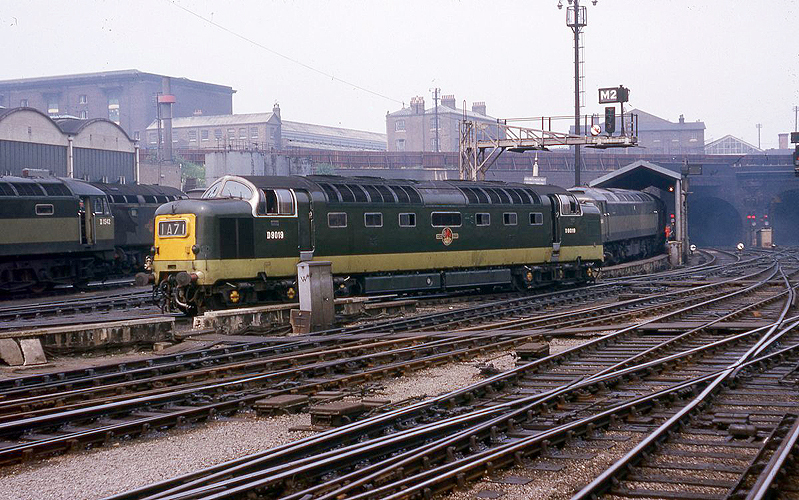 3182 - Photo: Nigel Petre Collection. 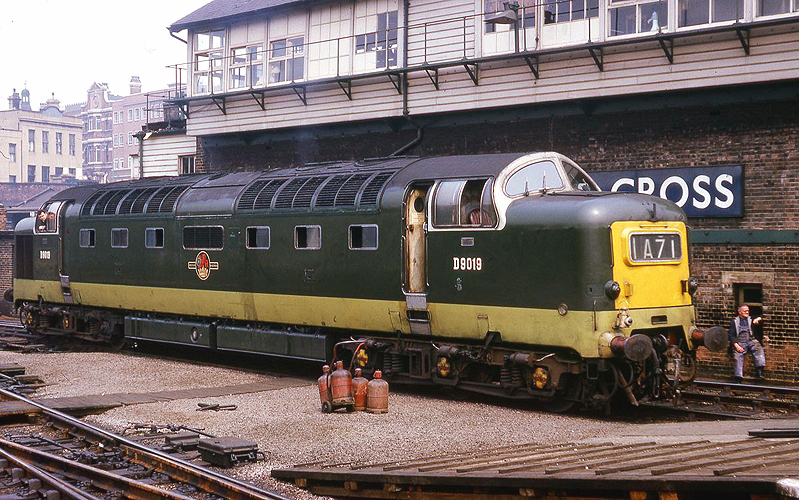 ...D9019 performs the ritual of negotiating King's Cross throat in order to gain access to the servicing area during July 1965.